Women who have had an ectopic pregnancy are promptly told that it can potentially make it difficult for them to conceive again. Although the aftermath of such a pregnancy complication can present serious challenges to aspiring parents, the majority of women do get pregnant and go on to have healthy pregnancies. 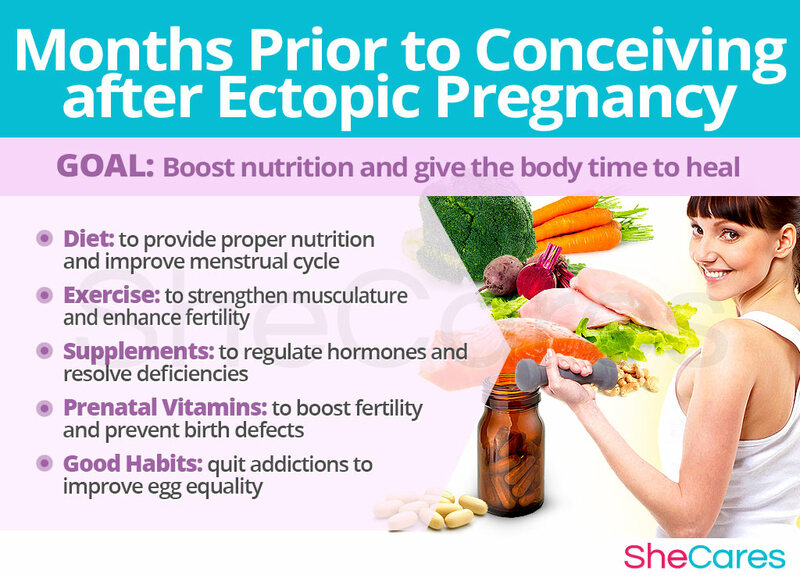 Continue reading to find out about the effects of an ectopic pregnancy on your ability to have children and learn how to create an effective action plan that can guide you throughout the conception process until you have your healthy and happy baby in your arms. Ectopic pregnancy, also called a tubal pregnancy, occurs when a fertilized egg implants itself outside the uterus, most commonly in the fallopian tubes. The fetus cannot grow outside the uterine cavity; therefore, an ectopic pregnancy results in pregnancy loss. 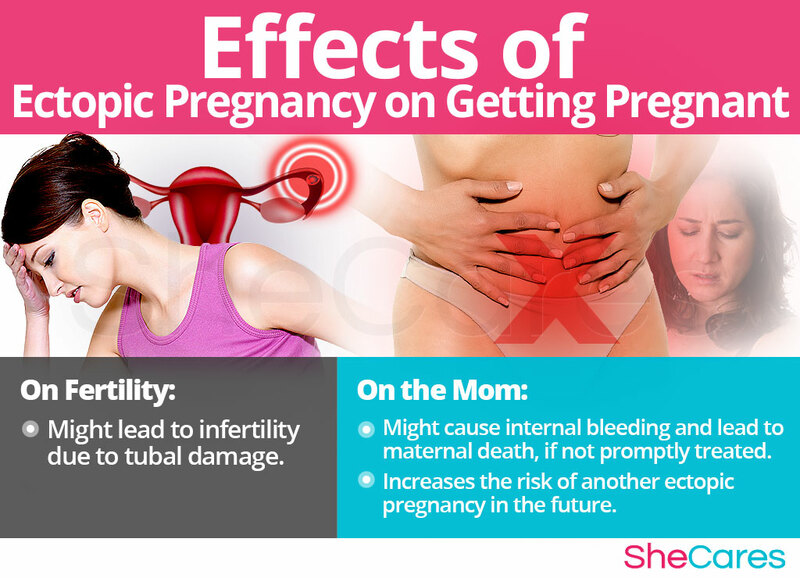 Because of the risk of tubal rupture and subsequent internal bleeding, ectopic pregnancy is a medical emergency that requires immediate attention. A woman's fertility might be reduced after an ectopic pregnancy, depending on the condition of her fallopian tubes. The removal of the fertilized egg might lead to scarring or damage to one of the fallopian tubes that sometimes warrant its surgical removal. Up to 65% of women do get pregnant within 18 months after tubal pregnancy as long as at least one of the fallopian tubes is intact. 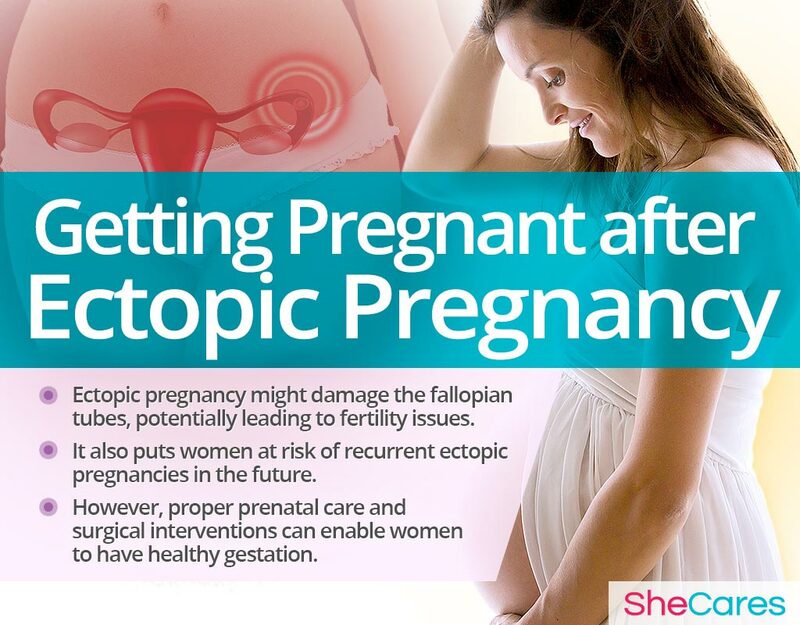 Up to 10% of women who have had an ectopic pregnancy are at a higher risk of its recurrence. Women who have had two or more ectopic pregnancies and had both of their tubes removed have to rely on in vitro fertilization (IVF) in order to safely get pregnant. Since the fallopian tubes cannot support the growing fetus, ectopic pregnancies often lead to their rupture. If not promptly treated, internal bleeding can result in maternal death. Depending on the extent of damage to the reproductive organs following an ectopic pregnancy, women are advised to wait three months or two menstrual cycles before getting pregnant again. This is particularly true for women who were treated with medications, like methotrexate, as some can potentially harm the baby. Your goal before conceiving is to give your reproductive organs time to heal while strengthening your body with wholesome practices to improve your chances of getting pregnant after tubal pregnancy. Staying physically active is an important part of pregnancy preparations. It not only strengthens your body and helps it to get ready for the challenges of being pregnant, but it can also be helpful in maintaining a healthy weight necessary in improving fertility. Find the type of exercises that you enjoy doing while avoiding strenuous workouts that might disrupt your menstruation. Strive to get 150 minutes of physical activity a week. It might include brisk walking, riding a bike, swimming, doing yoga, among others. Prenatal vitamins with folic acid and other essential micro-nutrients are most effective when taken three to six months before getting pregnant. They can increase your fertility and prevent serious birth defects. Hormone-regulating supplements, like Macafem, can help you balance your hormones, resulting in regular menstruation and increased libido, both needed for healthy conception. Some women might have a difficult time coming to terms with their pregnancy loss. 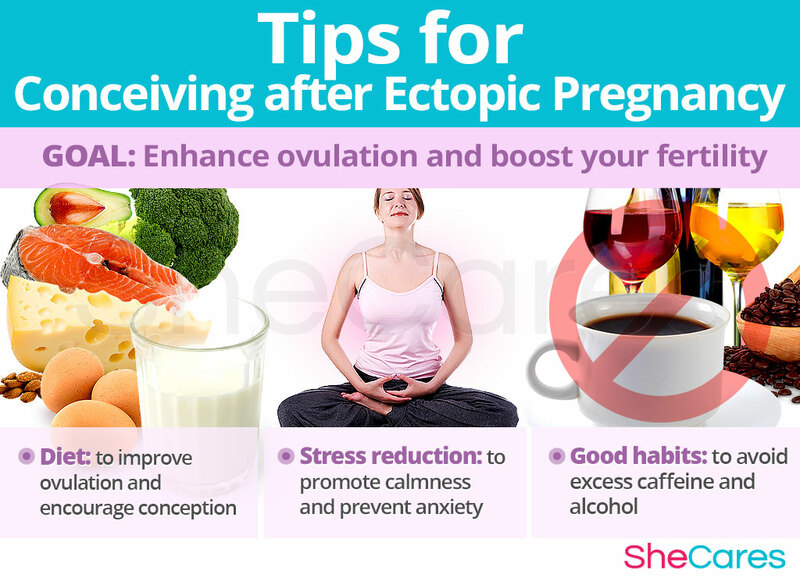 Remember that emotional recuperation after an ectopic pregnancy is just as important as the physical one. Find local support groups that unite women who have suffered through pregnancy loss, too. Consider psychotherapy with an experienced mental health professional to help you overcome your grief. Find a new hobby that you can continue throughout pregnancy, which can distract your mind from anxious thoughts. Maintain a rich social life and surround yourself with people who motivate and support you. Quit unhealthy habits, such as smoking or excessive drinking, as they are some of the main causes of pregnancy complications. To avoid getting pregnant too soon, your doctor will instruct you on the best contraceptive method for you at the moment. He will also tell you how long you should wait until attempting to conceive. It is natural for couples who have suffered through serious pregnancy complications to feel hesitant or anxious before getting pregnant again. Anticipate those mixed emotions and focus on staying calm and hopeful as you try to conceive. Find a few minutes every day to quiet your mind and maintain a hopeful attitude. You might find meditation or various visualization techniques very helpful. Eat more plant-based protein as well as other ovulation-friendly foods, such as eggs, avocado, and full-fat dairy. Drink plenty of water to improve cervical fluid and encourage conception. Some couples might decide to undergo an IVF if their efforts to conceive do not bring the desired results. Your OBGYN will help you explore this option among others. Since the early weeks of pregnancy, your doctor will closely monitor you to rule out the possibility of another implantation outside the uterus and to ensure that everything is progressing as it should. Remember that once you successfully conceive, your chances for a healthy and safe pregnancy are high. Focus on staying optimally healthy with nutritious meal plans, low-impact exercises, and other good lifestyle habits. Feeling anxious throughout pregnancy is natural. Try to ease your concerns with stress-reducing techniques, like prenatal yoga, that can also relieve fatigue or muscle aches that might develop along the way. 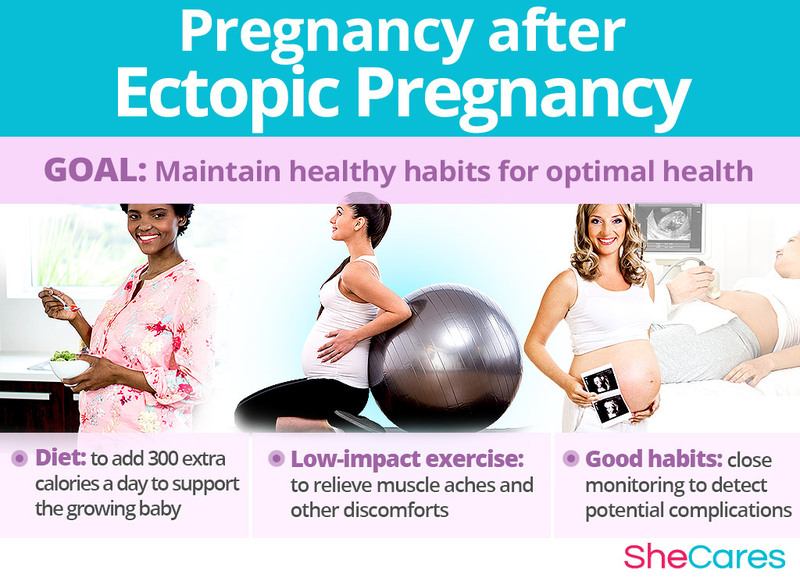 It is no secret that getting pregnant after an ectopic pregnancy can be challenging. It tends to cause significant stress among the partners, which can further inhibit their chances of conceiving. However, women with similar experiences have found that staying hopeful, patient, and proactive has helped them achieve their dream of motherhood. With supporting practices, such as a nutritious diet, regular physical activity, and supplements, like Macafem, you too can nourish your body from within and prepare yourself for becoming a mother of healthy babies.